Nothing beats the heat like an ice cold drink on a hot summer day. 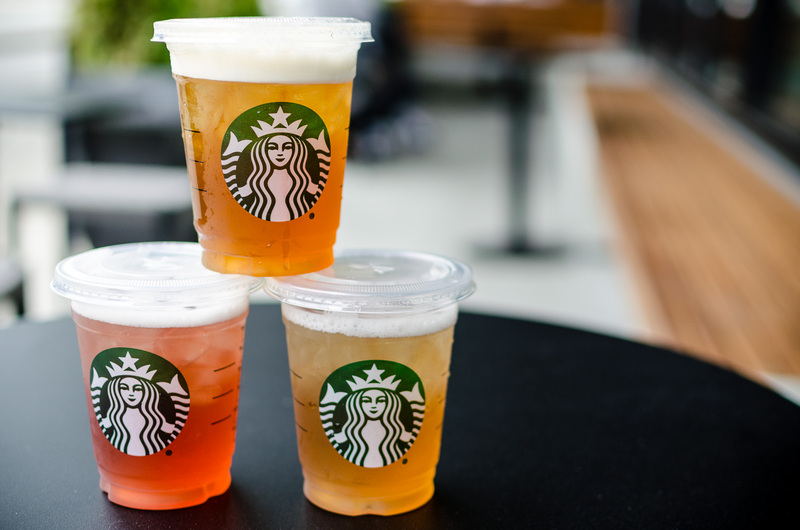 Today, Starbucks is reinventing its flavoured iced tea menu with the launch of Teavana Shaken Iced Tea Infusions. Teavana Shaken Iced Tea Infusions are made with freshly steeped fruit and botanical blends, combined with the premium Teavana tea. It’s pure house-steeped goodness with no artificial flavours or sweeteners. With just a touch of liquid cane sugar, Teavana Shaken Iced Tea Infusions are a low-calorie and refreshing new option for customers to enjoy on warm summer afternoons and beyond. Just like any of Starbucks beverages, you can customize tea bases or enjoy without liquid cane sugar. When unsweetened, they are 0 calories and 0 grams of sugar. 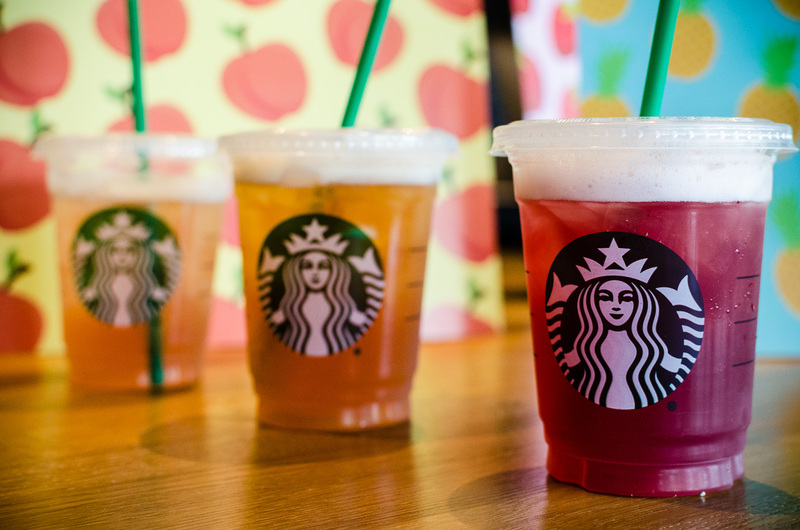 The three new Teavana Shaken Iced tea flavours will be joining the permanent menu. All three drinks are light, sweet & refreshing perfect way to cool off this summer. Teavana Shaken Iced Peach Citrus Flavoured White Tea Infusion is a delightful fruit and botanical blend that features ripe peach flavour notes combined with premium Teavana White Tea, made with water or lemonade, then slightly sweetened with liquid cane sugar. This refreshing beverage is best served with a splash of sunset. Teavana Shaken Iced Pineapple Flavoured Black Tea Infusion is freshly steeped pineapple fruit and botanical blend with premium Teavana Black Tea, made with water or lemonade, then slightly sweetened with liquid cane sugar for a refreshing drink that’s just subtly sweet. This island inspired fun-filled drink will have you dancing until dusk. Teavana Shaken Iced Strawberry Flavoured Green Tea Infusion combined freshly steeped strawberry fruit and botanical infusion with premium Teavana Green Tea, made with water or lemonade, then slightly sweetened with liquid cane sugar. This drink is to be enjoyed while outdoors. My favourite is the Pineapple Flavoured Black Tea Infusion. The sweet and fruity pineapple instantly transport you to a sunny, tropical beach. 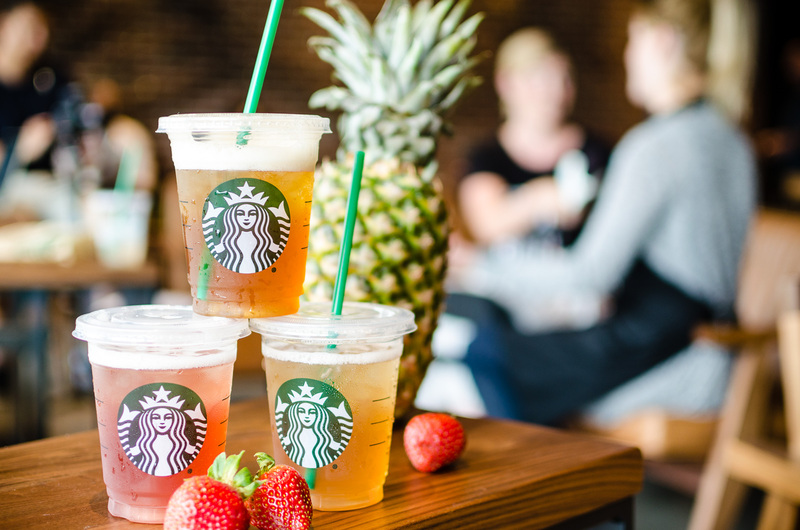 This Friday, July 14 from 1:00 – 2:00pm, Starbucks is hosting Free Tea Friday where customers can try a free Tall (12 fluid ounce) Teavana Shaken Iced Tea Infusion in Pineapple Black Tea, Strawberry Green Tea or Peach Citrus Tea at participating company-operated and select licensed stores in Canada, while supplies last. In-store only, not available for order via Mobile Order & Pay.